Whether it is due to distraction, lack of time or just plain forgetfulness, lots of us leave home without essential items every day. 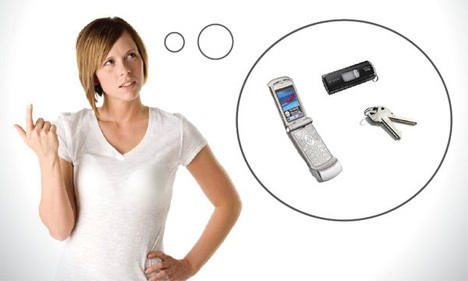 What if you could track all of your gadgets, keys, and all of those other objects that make your day complete – and ensure that you never again leave home without them? 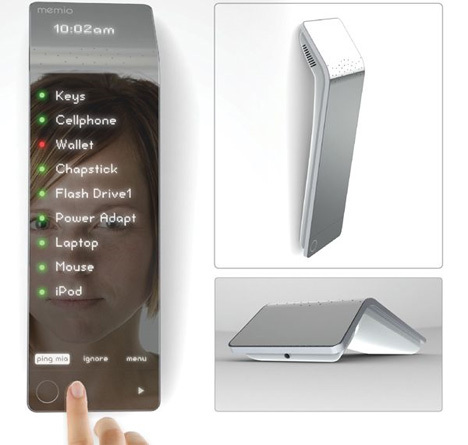 The Memio is a simple wireless gadget that would track the items you own as they come through your front door. The slick gadget lists all of the things you designate as your essential daily items, indicating as you are about to leave whether you have them with you or not. The designer, Rob Prickett, doesn’t explain how the items would be tracked, but presumably it could be achieved with small trackers stuck onto each object. The screen can even tell you where you left your items last, letting you find your misplaced keys in no time rather than hunting for them and making you late for work. If you try to leave the house without any of your essentials the Memio will alert you with a little red light. 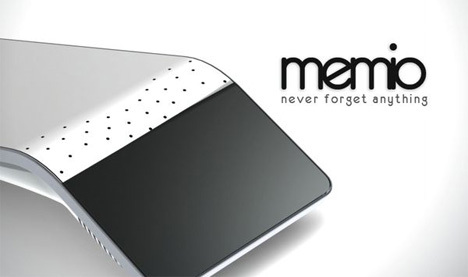 Unfortunately, like most other memory helpers, this one won’t be of much use unless you can actually remember to take the Memio with you and program all of your stuff into it.